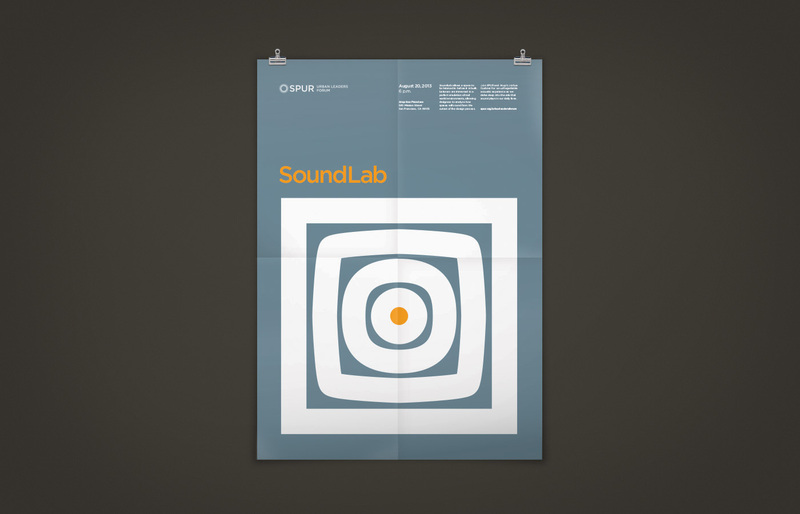 SoundLab allows a space to be listened to before it is built. Inside a room of speakers, a listener is immersed in a perfect emulation of real world environments. 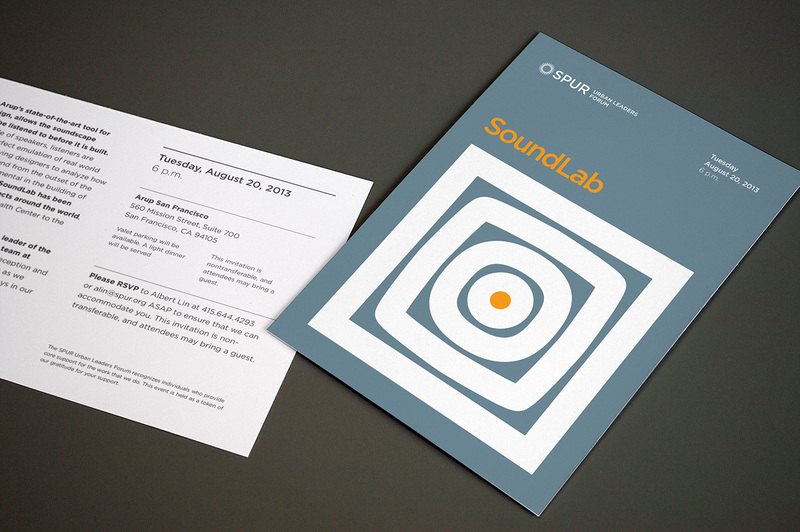 Arup and SPUR put together an event showcasing the SoundLab and this was the invitation, featuring a bold, minimal, graphic representing the SoundLab experience. Shown here as a 5”³ x 7”³ card and a poster.